PITTSBURGH (AP) — Starling Marte insists he still isn’t sure exactly how the banned steroid that cost the Pittsburgh Pirates outfielder an 80-game suspension got into his system. All set to return Tuesday night, he stressed he did not inject himself with Nandrolone but understands he was “careless” while spending last offseason in his native Dominican Republic. “That’s something I regret, not being careful enough,” Marte said through translator Mike Gonzalez on Monday in the final hours before his forced half-season sabbatical ends. The Pirates went 39-41 during Marte’s absence and are 45-48 overall, staying on the fringe of an underwhelming NL Central race while using a patched together lineup that forced manager Clint Hurdle to get creative. John Jaso, Adam Frazier and Jose Osuna — all infielders by trade — have found themselves in the outfield at various times, with mixed results. 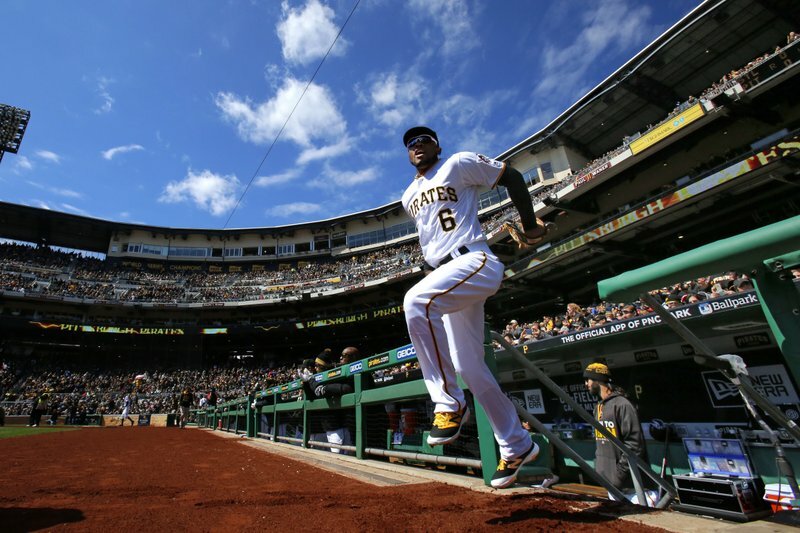 Hurdle plans to pencil Marte’s No. 6 in the lineup on Tuesday and see where it goes. The smaller picture for the Pirates is whether they can make enough headway in the division over the next two weeks to make a push for a playoff spot or go into sell mode at the trade deadline. The bigger picture is Marte’s ability to regain trust inside the clubhouse and in the front office of the team that awarded him with a six-year, $31 million contract in 2014. Marte spent the majority of his suspension near the team’s minor league headquarters in Bradenton, Florida, watching every game either with his family or the young prospects who work out at Pirate City. He felt the acute anguish of each loss and traded texts and notes with a handful of teammates but remains well aware there is work to be done. Marte’s absence forced Hurdle to return Andrew McCutchen to center field, where McCutchen will stay even with Marte back in the fold. Marte, who won Gold Gloves in both 2015 and 2016 while working in spacious left field at PNC Park, has no issue with the switch. At this point, he’s simply happy to play. Marte is focused on not becoming a distraction and those who have known him the longest aren’t worried about him disrupting chemistry on a team that entered Monday playing its best baseball of the season while winning seven of nine. Marte hit .304 with a home run and three RBIs in 12 minor league starts. The plan is to throw him back into the everyday rotation hoping he can provide a spark for a club that’s been searching for one since opening day.